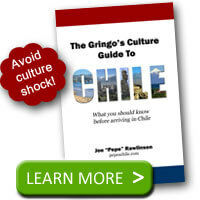 Don’t leave Chile without eating a classic Chilean empanada. 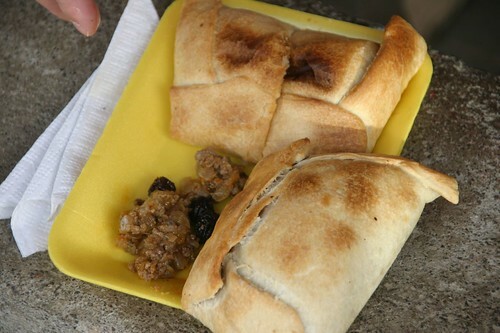 While empanadas in some form are found all over Latin America, Chile offers up its own variety. An empanada is a type of turnover where a thin pastry shell is stuffed with a filling and then cooked before serving. Chilean empanadas typically come in two popular variations: oven-baked meat-filled empanadas and cheese filled, fried empanadas. As you walk through a local feria market or see a vendor on the street, you’ll hear cries of “empanadas de horno“. These are oven-baked empanadas. A traditional empanada de horno is also called an empanada de pino. These empanadas are filled with a meat mixture consisting primarily of ground beef, onions, raisins, a slice of hard boiled egg, a whole olive, and seasonings. The pastry shell is sealed up and baked in the oven. 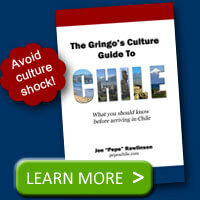 Recipes vary so don’t be surprised if you taste a something different in your empanada. Empanadas de pino are typically large enough to constitute a meal even though they often are served only as appetizers. The first time I ate an empanada de pino I bit down on the whole olive (pit included) and nearly broke my tooth! Use caution when eating fresh empanadas as they will be really hot inside. Cheese empanadas are simply cheese inside a pastry shell and then fried. These are so easy, you can make your own cheese empanadas. Since these are fried, you get a different texture and flavor. Cheese empanadas are also typically smaller than their meat-filled cousins. So you’ll be tempted to eat several at one time. As you travel around the country, you’ll find different variations of the empanada. Look for seafood empanadas or whole wheat empanadas in more trendy restaurants. Hi M.A., Try to make your own cheese empanadas. For desert, try some Chilean panqueques. For a drink try and get some fruit nectar at a supermarket that sells them or even powdered juice from Chile like Zuko or Sprim if you can find it. Do you know if you the fried cheese empanadas can be made an oil-less air-fryer (ex. actifry)? @Ben – I haven’t tried that but if the actifry is a true substitute for frying, it might be worth a try.